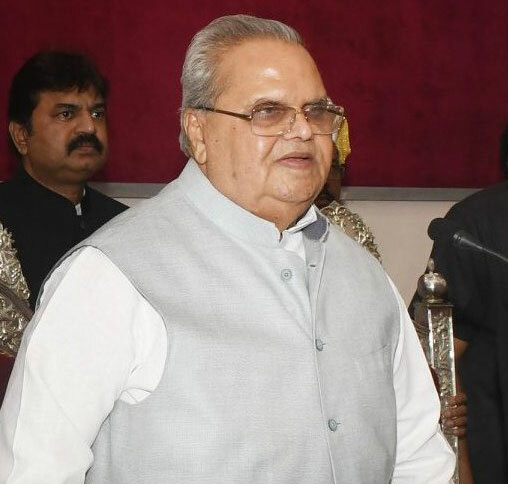 Jammu and Kashmir governor Satya Pal Malik has called for expeditious completion of all necessary infrastructural and other facilities to ensure that the five new medical colleges in the state start functioning from the next academic session. The five new medical colleges are coming up at Rajouri, Doda, Kathua, Anantnag and Baramulla for which the Centre has sanctioned Rs 189 crore each. Malik also directed for fast-tracking recruitment of faculty and para-medical staff and completing all necessary requirements to fulfill MCI norms for formally starting the academic activities in these colleges next year. Reviewing the functioning of the Health and Medical Education Department on Wednesday evening, the governor directed Principal Secretary Atal Dulloo to personally monitor the progress of these colleges and maintain close coordination with the Public Service Commission (PSC) and services selection recruitment board for early selection of all referred posts and putting up the requisite infrastructure in place within the set timeframe. Dulloo said the work on all five colleges is in full swing and likely to be achieved as per target. He informed that necessary steps are being taken to arrange make-shift accommodation for these colleges before the visit of Medical Council of India (MCI) team in December. To overcome the paucity of doctors, he said 1,000 posts of medical officers have been referred to the PSC which are likely to be selected soon. Besides, 535 doctors have been engaged under the National Health Mission (NHM) in the far-flung areas to supplement the services, he said. Meanwhile, the State Administrative Council (SAC) approved the proposal of the Health and Medical Education Department to grant extension in the joining time of 254 medical officers as a one-time exception, an official spokesman said. On joining the department, they will have to work in far flung and backward areas of the state for a minimum period of five years, he said.